What is Scarab ransomware? Why did .fuchsia Files Virus encrypt my files? Can I get files encrypted by the .fuchsia Files Virus restored? Scarab is family of cryptoviruses which aim to encrypt your files and demand money as a ransom to get your files restored. According to some malware researchers, all files of a compromised computer get locked with the AES military grade encryption algorithm. The Scarab cryptovirus will encrypt your data, while also appending the custom .fuchsia extension to each of the encrypted files. Read on to see how you could try to potentially recover some of your files. Symptoms The ransomware will encrypt your files with the AES encryption algorithm. All locked files will have the .fuchsia extension appended to them. 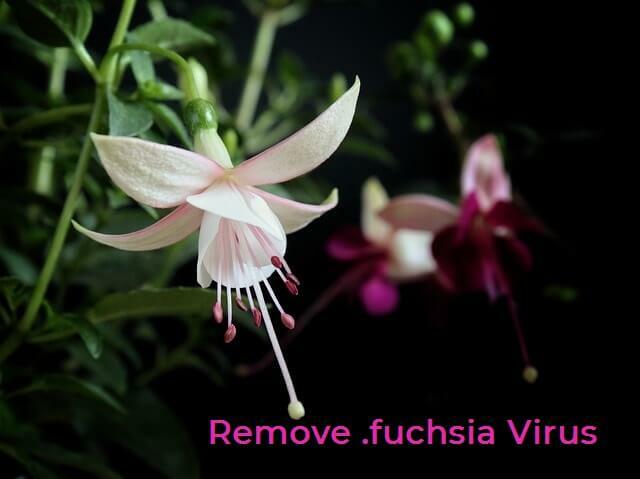 User Experience Join Our Forum to Discuss .fuchsia Files Virus. Scarab ransomware with its current variant that appends the .fuchsia extension might spread its infection in various ways. 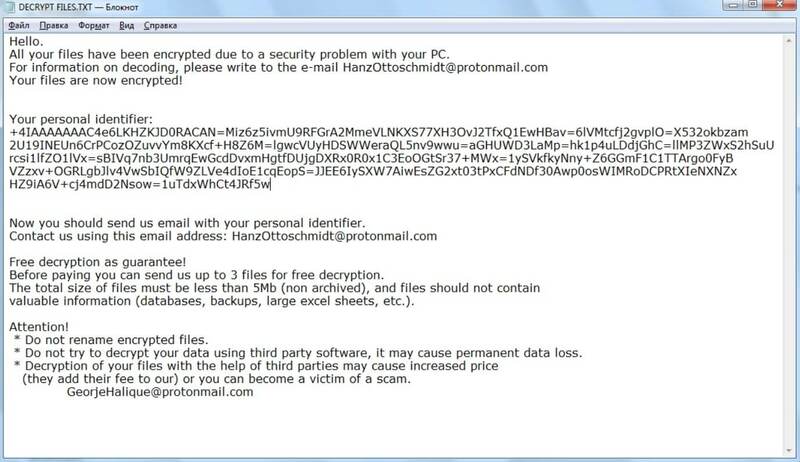 A payload dropper which initiates the malicious script for this ransomware is being spread around the Internet. Freeware which is found on the Web can be presented as helpful also be hiding the malicious script for the cryptovirus. Refrain from opening files right after you have downloaded them. You should first scan them with a security tool, while also checking their size and signatures for anything that seems out of the ordinary. You should read the tips for preventing ransomware located at the corresponding forum thread. Scarab is a virus that encrypts your files and places a .txt file, with instructions inside the infected computer system. The extortionists want you to pay a ransom fee for the alleged restoration of your files. Every file that gets encrypted will receive the .fuchsia suffix. That suffix is appended to the name of an encrypted file as a secondary extension. The original extension and filenames remain unchanged after encryption, as the .fuchsia extension is added.